I have just finished listening to Homer's epic The Odyssey during my otherwise ordinary commute to work everyday. Derek Jacobi's narration is delightful, and listening to this every day for the last few weeks has transformed my otherwise mundane commute into something that I actually looked forward to, filling it with tales of revenge, valor and conquest. This is much more desirable than the typical office drama and politics one has to face! What really struck me while listening was the significant role taken by those small, tried and true secondary characters in these type of epic tales. In the case of the Odyssey it is the faithful and true swineherd, Eumaeus, who faithfully tends to his job during his master's 20 year absence despite facing circumstances that were anything but hopeful. 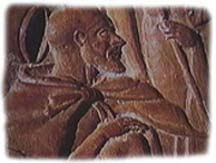 Not only does Eumaeus remain loyal and carefully tend Odysseus' heard of swine during his prolonged absence, he assist his master upon his return even when he does not know his identity and offers him food and clothing. Later on the old man dons some bronze armour and helps his badly outnumbered master fight off and kill the vile suitors who have taken over his household and attempted to woo his wife during his long absence. In this epic poem he is portrayed as the essence of virtue and commitment. It made me think of those people who in my mind are the "swineherds", who like Eumaeus may not get all the ultimate glory but who through their dedication to higher ideals make a profound difference in the long run. First of all, I was thinking of some of the social workers I have worked with here in BC, who despite having insane workload issues, remain positive and try to build on the capacity and strengths of their clients, often under difficult circumstances. There is no glamour in this job, and it can be stressful and feel thankless on a good day. Despite this, I see dedicate folks who manage to keep their sense of humour and hopefulness intact, doing their best to make a difference within a large and often dysfunctional system. Also, I was thinking of the folks I have come across here in the blogosphere who either through humour or direct commentary are poking holes in the inane analysis and discourse we get spoon fed in the mainstream and corporate media. Nothing earth shattering here, but these folks in their own way are trying to engage in a new form of discourse that cuts through the old and tired categories and perhaps present a bold new way to define how we discuss what really matters in this new century. Finally, I truly admire the millions of unseen folks currently in the U.S., who despite enduring 7 awful and despairing years under the destructive ideological zealotry of the current administration, are working tirelessly behind the scenes to move their country forward and bring about change, refusing to give into apathy or despair. 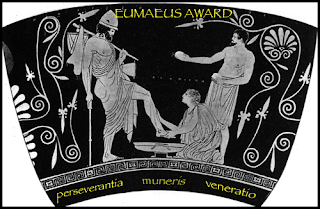 I think from time to time I will post virtual Eumaeus Awards to those specific folks who inspire me with their unwavering commitment to higher ideals. It may be you, you have been warned! Alas, most of those we come into contact in our lives are more vile suitors than swineherds. Personally I share your soft spot for the value of loyalty. Often overlooked it's value cannot be overstated. This was one of the "classics" that really lives up to that billing. I loved reading it in college. Aw, thanks for the award. Your sympathy is much appreciated. Let me tell you, if things don't get better the next time around, I'll be coming north of the border for a L-O-N-G visit!!! I did a classical mythology course last year which covered parts of the Odyssey, but I really want to cover it in more depth. Eumaeus sounds like an inspirational figure whose example we should all follow. 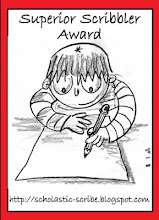 I humbly accept this award on behalf on the my fellow citizens! You can find it on the sidebar of my blog. Oh, and I totally stole that cowbell thing too.